The Lloyds boss is being well rewarded despite PPI charges pulling the bank's 2015 profits down to £1.6bn. It’s more or less impossible for a bank chief to get a pay rise without someone complaining. Memories of ‘Wolf of Wall Street’ era bonuses are firmly engrained. 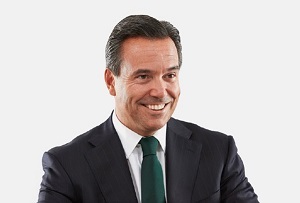 But should we begrudge Lloyds boss Antonio Horta-Osorio his first pay rise in five years? The bank has announced his base salary will rise 6% to £1,125,000 in 2016 - 4% above the increase for most of Lloyds’ other employees, from cashier to executive director. This isn’t a case of fat cat back-scratching. Horta-Osorio’s salary was below market rates when he joined Lloyds in 2011, reflecting the politically sensitivity of a struggling bank in large part owned by the taxpayer. Now that the government’s stake is down to 9%, it’s only natural for that restriction to be relaxed. Besides, Horta-Osorio has actually taken a pay cut of sorts. Taking into account share awards, particularly those vesting under Long Term Incentive Plan (LTIP) schemes, his total pay was £8,539,000 in 2015 – down 21% from the year before. Executive remuneration is a funny business, not that this will cheer Lloyds’ other employees up much. Shareholders might have something to say about it too, of course. Lloyds did just report a 7% fall in full-year pre-tax profits to £1.6bn, after the bank was forced to set aside another £4bn to cover PPI mis-selling claims (bringing the total provision to a staggering £16bn). But Lloyds performed much better according to the metrics it actually uses to determine executive pay. On an underlying basis – so ignoring such pesky one-offs as PPI provisions, redundancy costs and the loss from the sale of TSB - profits rose 5% to £8.1bn. The bank’s capital ratio and share price have both also improved. Besides, shareholders won’t care about high pay when they just got a 267% increase in the dividend, as Lloyds finally transitions into the cash cow its board wants. Once a special dividend for 2015 is factored in, investors will collectively receive around £2bn. Unsurprisingly, the share price rose on the news – it was up 9% to 67.8p by mid morning. Everybody wins, eh.